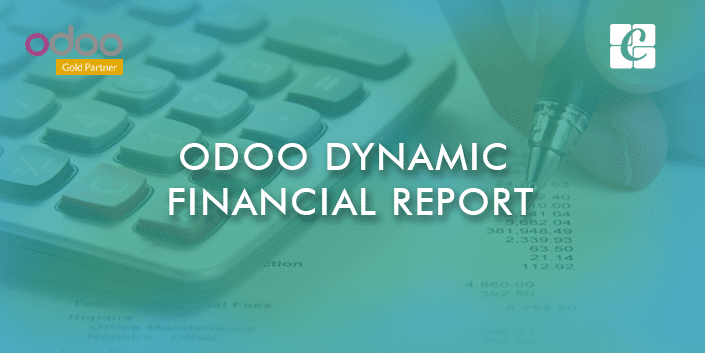 Odoo Dynamic financial reporting is a significant process in the new economic culture. Financial reporting is a chain of activities that allows firms to document operating data and announce accurate accounting statements at the end of each month, quarter and year.it enables organizations to present accurate accounting statements. 1.Cash basis: Revenue is recorded when cash is received from customers, and expenses are recorded when cash is paid to suppliers and employees. 2. Accrual basis: Revenue is recorded when earned and expenses are recorded when consumed. A detailed description is given in this blog. 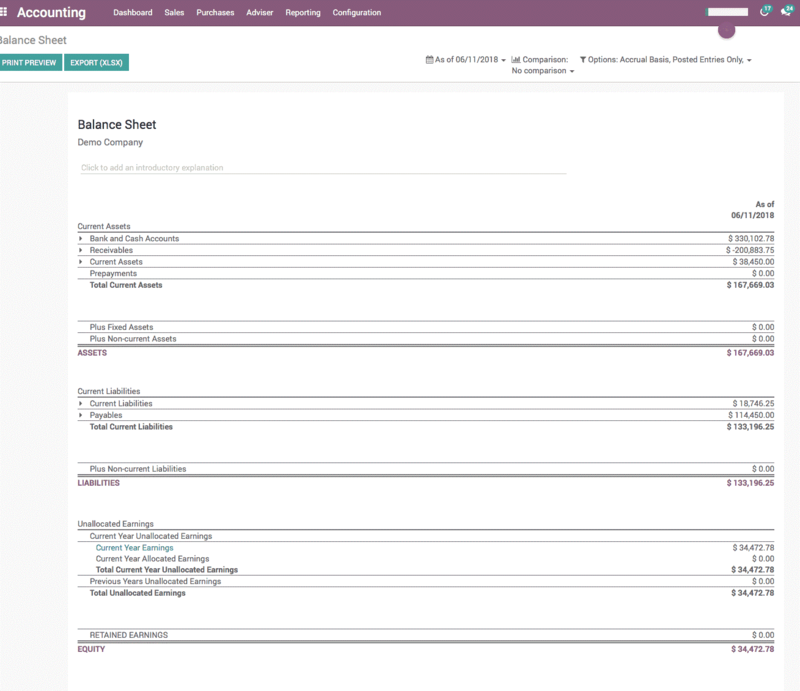 The Odoo dynamic financial report including Profit & loss account, Balance sheet, Cash flow statement, Trial Balance, Executive Summary, Check Register, Partner Reports, General Ledger, Consolidated Journals, and finally Tax Report. Summary of revenue, costs, and expenses during a period of time. Snapshot of assets, liabilities & equity at a specific date. Simply a list of any accounts that currently have an open balance. If the total of debit side/column is equal to the total of credit side/column, the trial balance is said to agree. Otherwise, it is implied that some errors have been committed in the preparation of accounts. 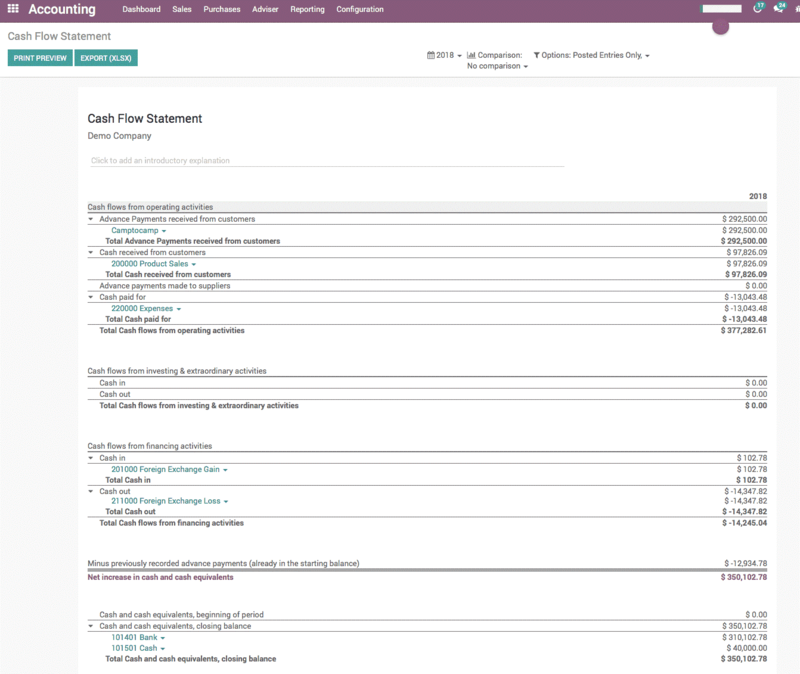 The quick summary of Profit & Loss account, Cash flow, and Balance sheet. Through this report, we get the department base report. A complete list of transactions for a bank account. It helps to view the bank balance and also help to know about which partner payment is received and spent. Show journal lines grouped by their accounts. We can view respective journal entries and corresponding bills. 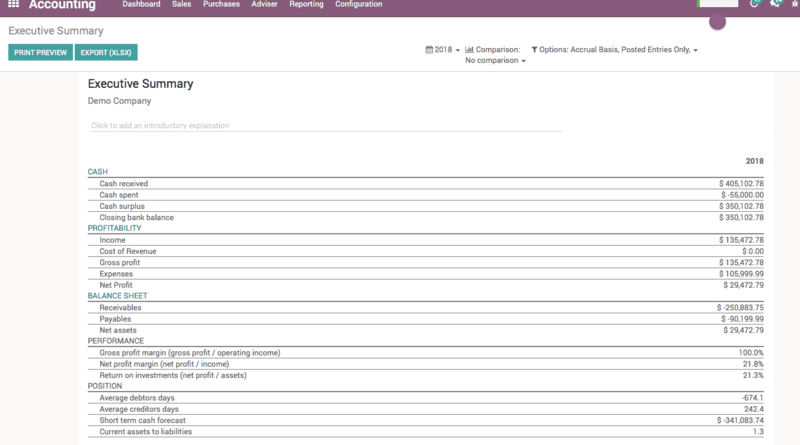 This is a new report in V11, First shows debit and credit per journal and then sum up the debit and credit by month. Displays both tax amount and the base amount being taxed grouped by sales and purchases. 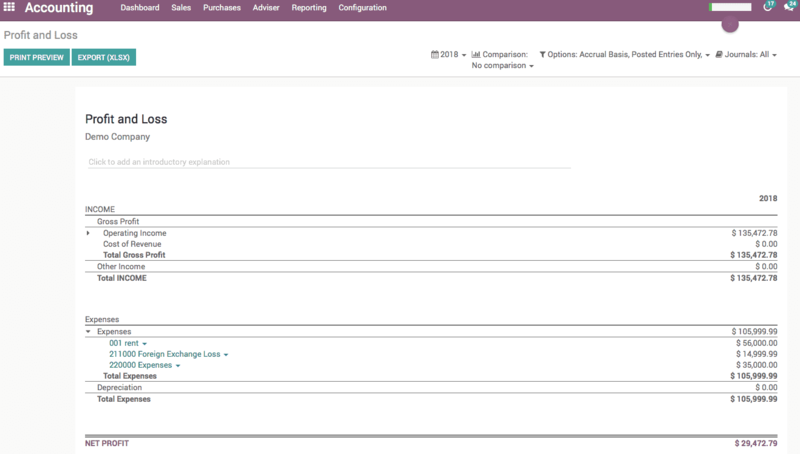 It helps to get all consolidated tax report on purchases and sales during the period.